Lakes, meadows, islands and other landscapes have a very irregular shape when viewed from above. However, some of them have interesting shapes and above these places are often organized airplane flights. 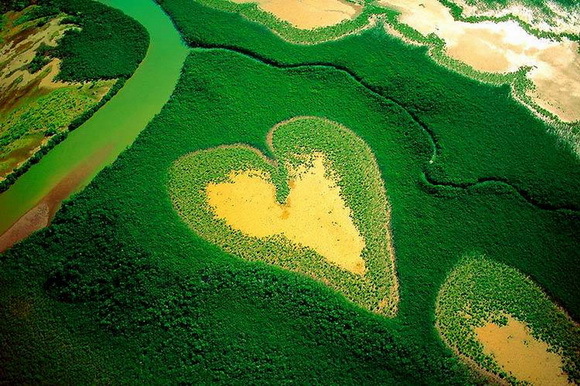 Heart-shaped landscapes (natural and man-made) are quite rare and very popular among professional photographers and tourists.